Recently I was in Leeds during the rush hour. 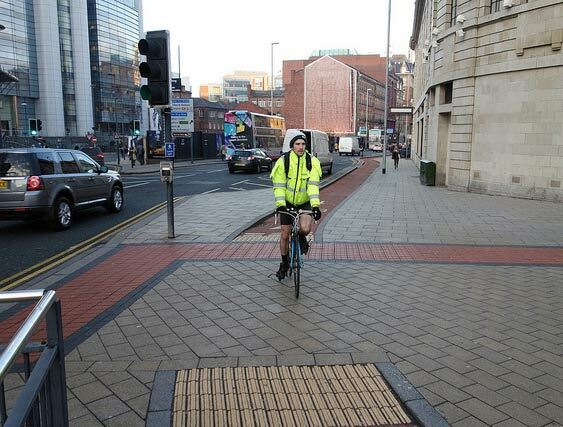 I took a few photos of cyclists and the basic cycle infrastructure. 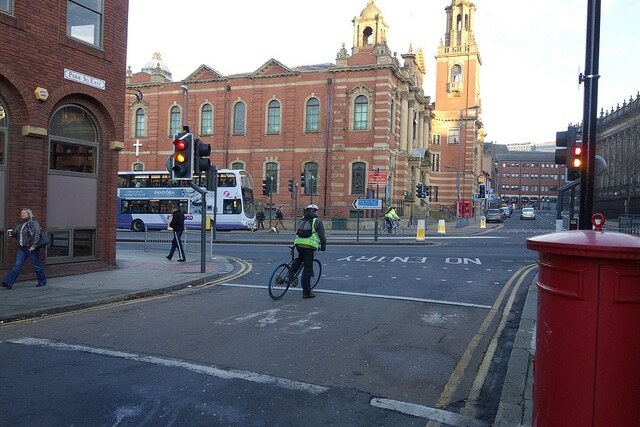 Leeds has a fairly low % of residents who cycle once a month. 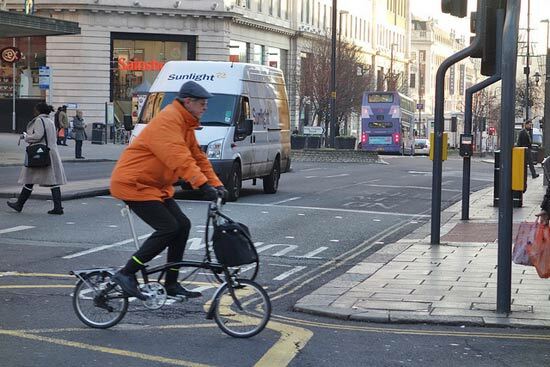 According to the Department of transport just 11% of residents cycle at least once a month. 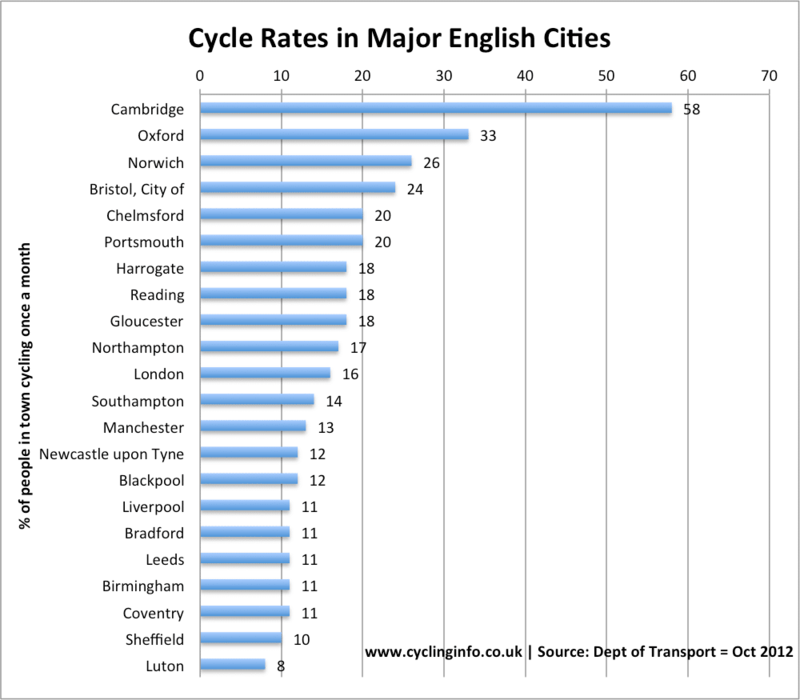 It’s not the lowest rate in the UK, but it lags behind other cities. In the city centre there are some dedicated cycle facilities. It’s not much, but they seemed to be well used during rush hour. A temporary brake in the cycle path. The cyclists I saw used their common sense and were cycling at low speed to avoid any problems with pedestrians. 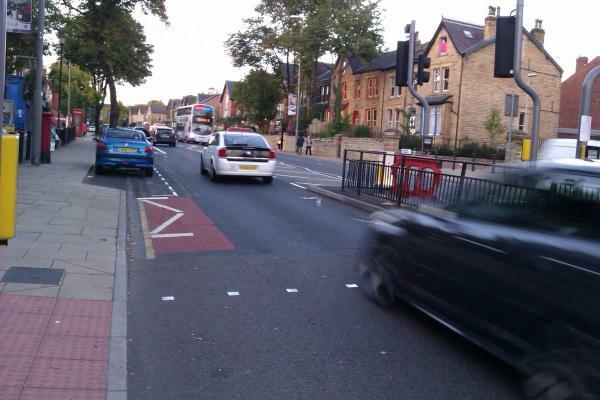 But, it does seem to sum up the patchy cycle lane provision. I didn’t get into the suburbs of Leeds. 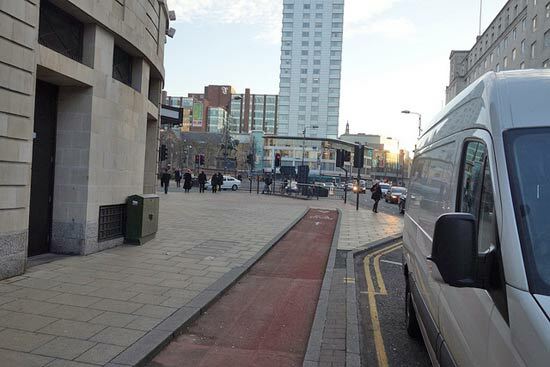 But, Leeds cycle campaign also highlight unhelpful cycle infastructure, like this rather short cycle path leading into a parking bay. 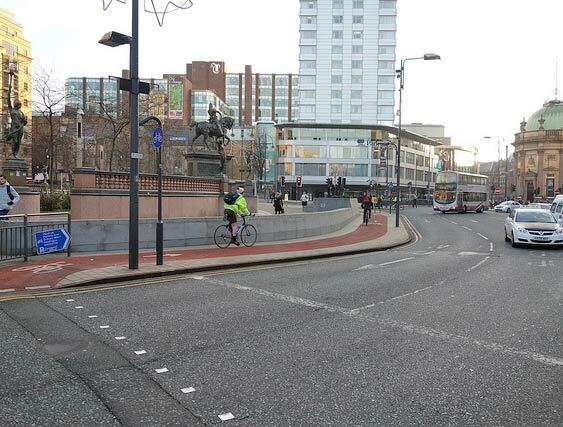 Cyclists queuing up to cross the road and get to next cycle path. Fold ups quite popular. Nice to see a flat cap. 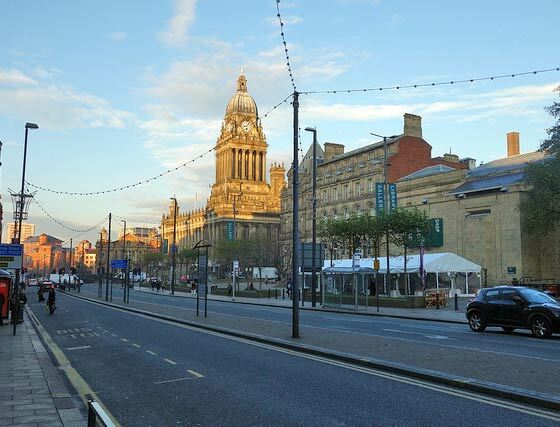 Headrow and the town hall in the sun. 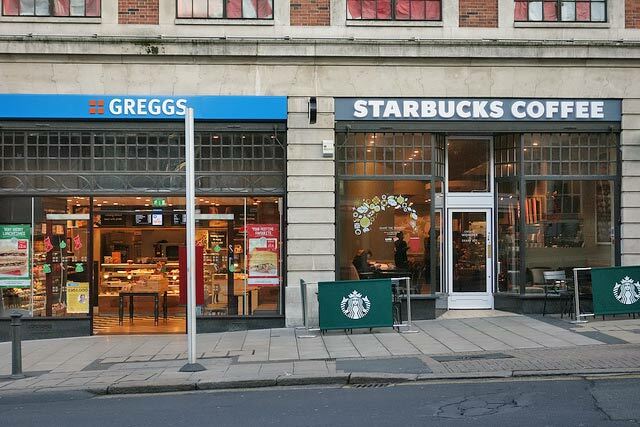 Greggs and Starbucks can all help improve cycle fitness as part of a carefully calorie controlled diet. Cycling along the dedicated lane. 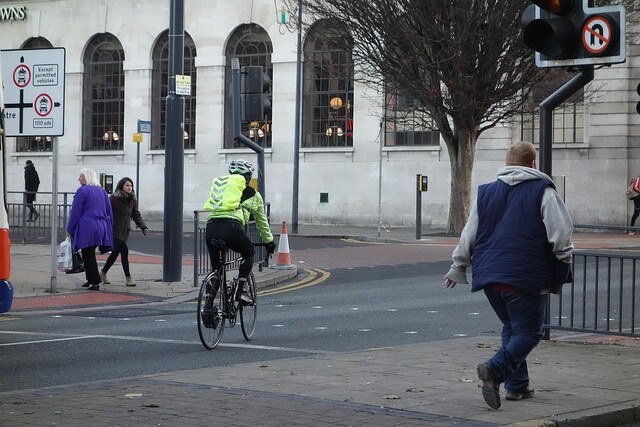 On the headrow, cyclists sharing a two lane road with motor vehicles. 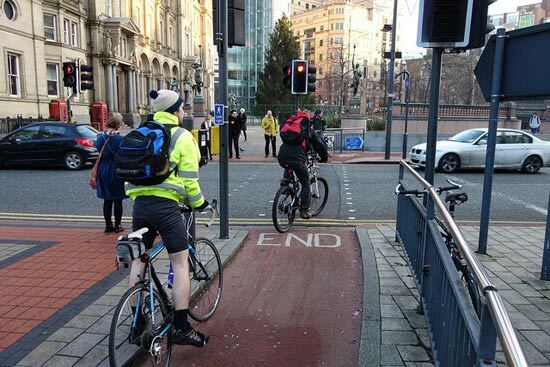 This is quite a tough proposition and not exactly cycle friendly. 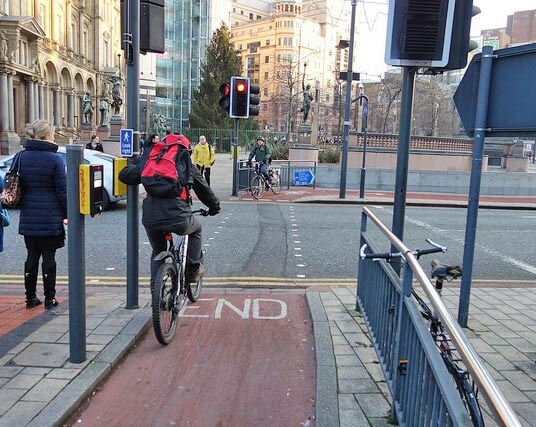 Cycle Point in Leeds. Leeds city station is one of the busiest stations outside London. 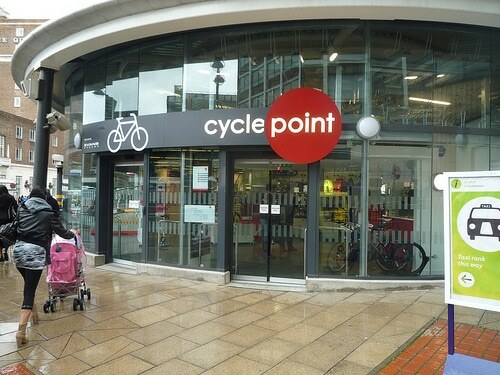 Here, Evans Cycles run a cycle point offering more secure cycle parking. 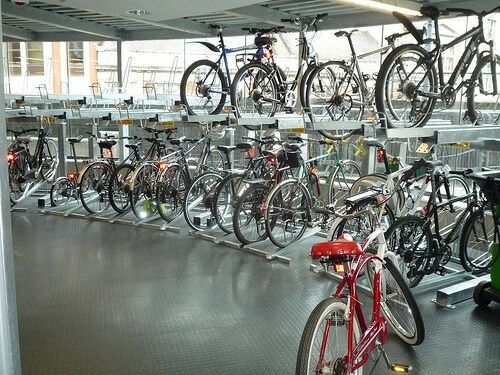 Double rows of bike parking. 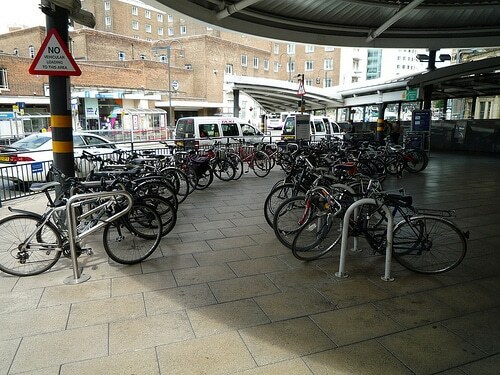 More bike parking outside Leeds station. In recent years, there do seem to have been some slow piecemeal improvements. But, overall the city is not too inviting for cyclists. There seems a strong and active campaign to improve facilities. 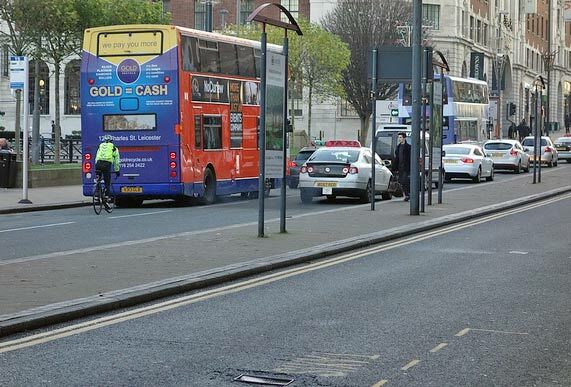 The arrival of the Tour de France in 2014 in Leeds should also help raise the profile and hopefully leave a legacy of greater cycle use.